BEN, the not-for-profit automotive industry organisation, is using 'Bring It On 4 BEN' to raise funds for those who have worked in the automotive industry. Ben has invited companies and individuals from the automotive community to ‘Bring It On 4 Ben’ and raise funds for industry colleagues. 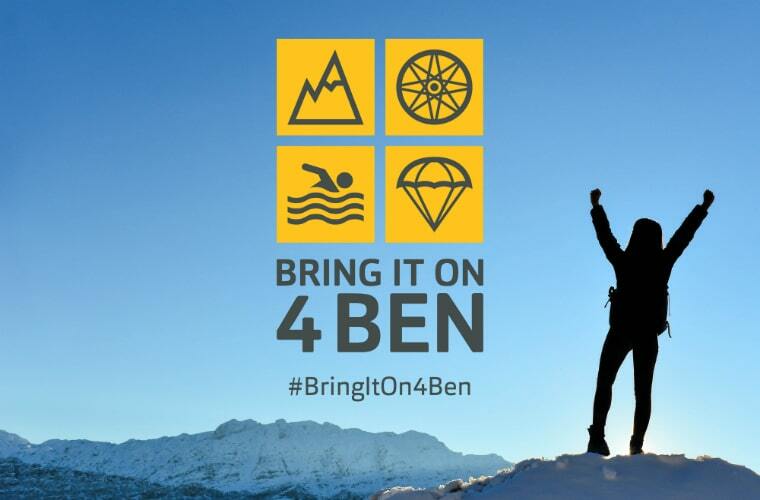 Ben, the independent charity dedicated to the automotive industry, has launched a series of ‘exciting’ fundraising challenges for the entire automotive industry to get involved in with its ‘Bring It On 4 Ben’ campaign. Ben has said it is tapping into the automotive community’s competitive spirit by inviting them to Bring It On 4 Ben and take on a range of exciting new fundraising challenges to raise vital funds for colleagues in need. The launch of Bring It On 4 Ben will see both individuals and companies taking on different fundraising challenges to help Ben support even more industry people, especially during current periods of industry uncertainty. With the strapline, ‘Take on one of Ben’s challenges to help people overcome theirs’, the charity is calling on the automotive community to be part of something extraordinary. In a statement, Ben elaborated on the benefits getting involved in the campaigns bring. They said: “Taking on a ‘Bring It On 4 Ben’ challenge not only offers people the chance to support their community and colleagues, but is also beneficial for their own mental and physical wellbeing by increasing their confidence, providing a sense of purpose and achievement and keeping them fit and active. “Other benefits include fantastic team building opportunities, as well as the chance to build new connections and meet people. “There are 18 different challenges available and there’s something for everyone regardless of age, fitness or ability – so anyone and everyone can Bring It On 4 Ben and help change lives. “Individuals can choose from a number of awe-inspiring challenges, which include reaching the highest heights in a skydive, trekking to a lost city, scaling a mountain or running a marathon – and everything in between. Matt Wigginton, business development director at Ben, said: “The automotive industry is built on competitiveness and Bring It On 4 Ben is a great way to harness that. “At the Ben ball in December, I asked a number of business leaders to ‘Bring It On 4 Ben’ and we have been overwhelmed by the response so far. “Now we’re opening up the opportunity to the whole automotive community. “Whether you’re a one-man-band or a multinational, we have a challenge to suit you and your colleagues – both in the UK and further afield. “Do it alone or get together as a team and take on your colleagues… And your competitors. “You’ll be part of something fun and inspiring and will be raising vital funds to support people in our industry at the same time. Find out more about Ben, the challenges and signing up for them by clicking here.